ViewSonic LightStream PJD5254 offers an impressive audio-visual performance ideal for use in educational and small business environments. Exclusive Supercolor technology offers a wider colour range for true-to-life image projection while SonicExpert technology delivers improved sound quality. 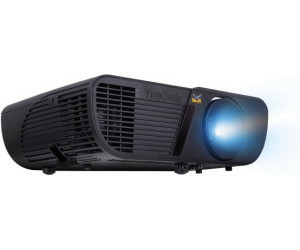 Packed with 3,300 lumens native XGA 1024 x 768 resolution and a 22,000:1 contrast ratio this projector is guaranteed to reproduce the finest of details regardless of the ambient light level. The projector also features HDMI digital connectivity, supporting media-rich presentations. An energy-saving SuperEco feature reduces power consumption by up to 70%,and extends the lamp life by very long hours. With advanced audio-visual features flexible connectivity options and an affordable price, the LightStream PJD5254 will help you present at your best.